Generals in the Civil War led their troops in some of the biggest and most historic battles in American history. The rank of general is the highest rank in that branch of the armed services. For that reason, generals serve as the first in the chain of command in the army. How Many Generals Were in the Civil War? Although there were only a handful of generals before the Civil War, by the end of the war more than a thousand men had served as generals (Giradi 8). 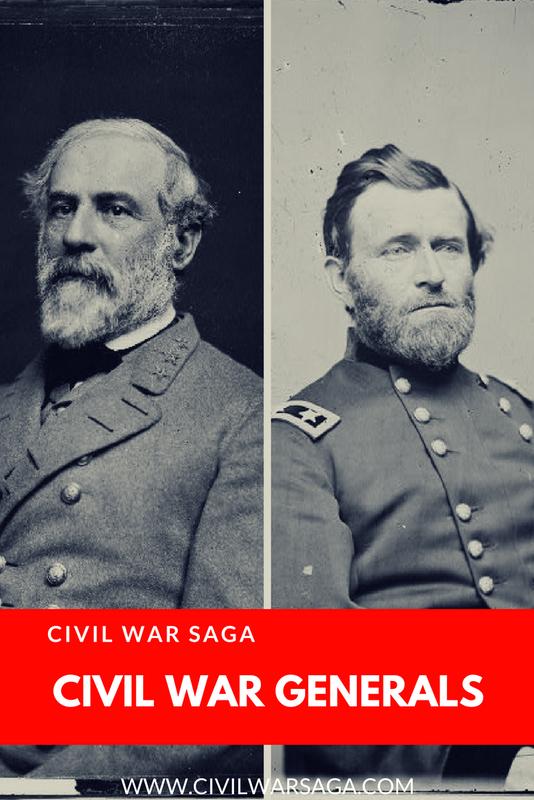 The majority of these generals held other ranks in the military prior to the war and were promoted to general out of a dire need for more commanders to lead the massively expanding Union and Confederate armies. Generals often used this intimate knowledge of their opponent to their advantage and based tactical decisions on their opponent’s personality. Yet, this insight became problematic too when generals who were supposed to be on the same side used their positions of authority and personal knowledge to derail the careers of their rival peers. How Many Generals Died in the Civil War? According to the book Statistical Record Of The Armies Of The United States by Frederick Phisterer, a total of 67 Union generals and 73 Confederate generals were killed in the Civil War. Thomas Stonewall Jackson was a Confederate general who died during the war. Some famous battles Jackson participated in were the Battle of Bull Run, the Battle of Antietam and the Battle of Chancellorsville. Robert E. Lee was a Confederate general and one of the most famous generals of the Civil War. Some famous battles Lee participated in were the Battle of Gettysburg, the Battle of Antietam, the Battle of Cold Harbor and the Battle of Appomattox Courthouse. Nathan Bedford Forrest was a lieutenant general in the Confederate army. Some famous battles Forrest participated in were the Battle of Shiloh and the Battle of Nashville. Jubal Early was a major general in the Confederate army. Some famous battles he participated in were the Battle of Bull Run, the Battle of Antietam and the Battle of Gettysburg. Patrick Cleburne was a major general in the Confederate army. Some famous battles Cleburne participated in were the Battle of Shiloh, the Battle of Chickamauga and the Battle of Atlanta. Jeb Stuart was a major general in the Confederate army. Some famous battles Stuart participated in were the Battle of Bull Run, the Battle of Gettysburg and the Battle of Chancellorsville. PGT Beauregard was a general in the Confederate army. Some famous battles Beauregard participated in were the Battle of Fort Sumter, the Battle of Bull Run and the Battle of Shiloh. James Longstreet was a lieutenant general in the Confederate army. General Robert E. Lee gave him the nickname “the old war horse.” Some famous battles Longstreet participated in were the Battle of Gettysburg, the Battle of Antietam, the Battle of Chickamauga and the Battle of Fredericksburg. Ulysses S. Grant was a Union general and one of the most famous generals of the Civil War. 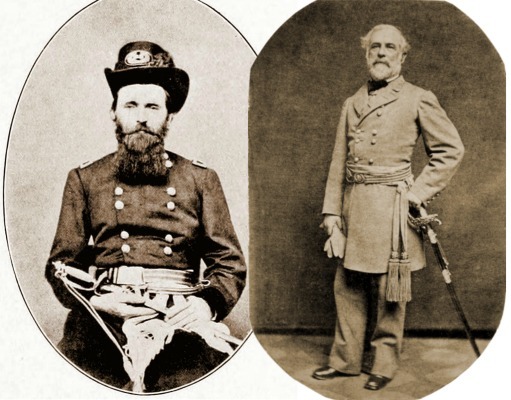 Some famous battles Grant participated in were there the Battle of Shiloh, the Battle of Cold Harbor and the Battle of the Appomattox Courthouse. William Tecumseh Sherman was a major general in the Union army and is most known for his famous Sherman’s March to the Sea. Some famous battles he participated in were the Battle of Bull Run and the Battle of Shiloh. Benjamin Butler was a notorious Union general who earned the nickname “the Beast.” Some famous battles Butler participated in were the Battle of New Orleans and the First Battle of Petersburg. George Gordon Meade was a major general in the Union army. Some famous battles Meade participated in were the Battle of Gettysburg, the Battle of Spotsylvania, the Battle of Cold Harbor and the Battle of Petersburg. Philip Sheridan was a major general in the Union army. A famous battle Sheridan fought in was the Battle of Chickamauga and he participated in the Appomattox Campaign. George Henry Thomas was a major general in the Union army. Some of his nicknames were the “Rock of Chickamauga,” and “Sledge of Nashville.” Some famous battles Thomas participated in were the Battle of Chickamauga and the Battle of Nashville. Winfield Scott Hancock was a major general in the Union army. Some famous battles Hancock participated in were the Battle of Antietam, the Battle of Gettysburg, the Battle of the Wilderness and the Battle of Cold Harbor. Garfield was a Union general in the Civil War. Garfield only served six months as President of the United States before he was assassinated in September of 1881. He was the second of four presidents to be assassinated, with Abraham Lincoln being the first. Garfield was a member of the Republican party. Hayes was a Union general in the Civil War. Hayes served one term as President of the United States, from 1877 to 1881, and did not seek reelection for a second term. Hayes was a member of the Republican party. Grant was a Union general in the Civil War. Grant served two terms as President of the United States from 1869 to 1877. Grant was a member of the Republican party. Andrew Johnson’s military career is unusual but he is officially listed as a brigadier general in the Union army in the Civil War. Johnson doesn’t seem to have actually fought in the field and only held the rank of general because he was appointed military governor of Tennessee by Abraham Lincoln. Johnson then served as Lincoln’s running mate in 1864 and, since he was Vice President when Lincoln was assassinated in April of 1865, he became president and served one term from 1865 to 1869. He was the first U.S. president to be impeached. Johnson was a member of the Democrat party. Giradi, Robert I. The Civil War Generals: Comrades, Peers, Rivals-In-Their Own Words. Zenith Press, 2013. Warner, Ezra J. Generals in Gray: Lives of the Confederate Commanders. Louisiana State University Press, 2006. Warner, Ezra J. Generals in Blue: Lives of the Union Commanders. Louisiana State University Press, 1964. Fox, William F. Regimental Losses in the American Civil War, 1861-1865. Albany Publishing Co, 1889. Phisterer, Frederick. Statistical Record Of The Armies Of The United States. New York: Charles Scribner’s Sons, 1883.